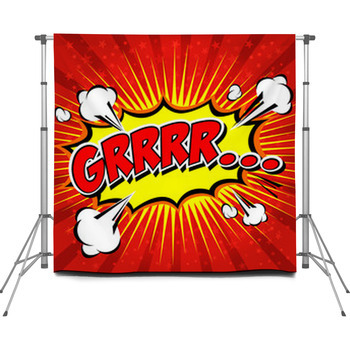 Give your photo clients portraits that capture the hipness and energy of one of the most famous forms of modern art with our pop art backdrops. 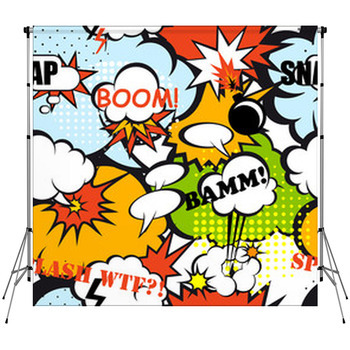 Stock your studio with photographer backdrops that exhibit surrealistic paintings, comic books tributes, colorful cocktails, and disco party explosions. 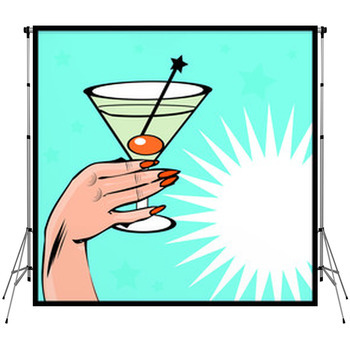 These portable backdrops also use neon illustrations to portray iconic soup cans, soft drinks, musicians and actors. 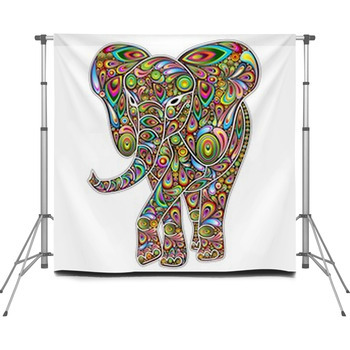 Pose your subjects in front of our pop art backdrops to provide them with kitschy and catchy images. Set a couple beside a scene of two high class martini glasses filled with fruity orange or purple beverages. These unique drinks are topped with red cherries, a slice of orange, and blue zigzag straws. Then let a young man enjoy posing beside a gorgeous, seductive and buxom African American lady on a photo backdrop. Her black Afro hairdo, as well as her beautiful face and shoulders, are cut up into squares, in a classic pop art technique. Have a female subject announce her innocence with a photographer backdrop that features a lifelike painting of a deep red cherry still attached to its green stem. The cherry is pictured against a white background as it splashes through creamy white milk. 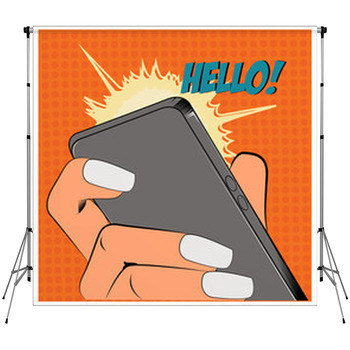 Teenagers like the retro fashion of a portable backdrop that depicts 70s style tight blue jeans and canvas sneakers on a dark pink, gray and orange background. Another pop art backdrop design explores the possibilities of notebook doodling. Here birds are drawn as blue silhouettes, palm trees as green ones, and a city skyline is sketched in black on ruled paper. There's also a gnarled old tree, a leafy vine and a sky made of joyful lavender swirls on the backdrop. 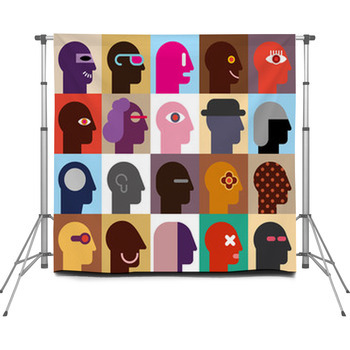 Showcase your new backdrop collection additions by hanging our pop art banners andwall art in your office.